Relevant, Dynamic, Effective, Creative, Content. The Buzz: A new film is coming...Stay Tuned! Plumr screens in Kalamazoo, Michigan! Plumr was an Official Selection to the North by MidWest Film Festival! The film screened twice on March 17 at the Epic Center in downtown Kalamazoo, Michigan. The turnout was fantastic! Thanks to everyone who came out to support the cast and crew! Plumr garners first Official Selection to a major film festival! 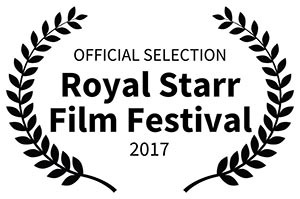 Plumr has been chosen as an Official Selection to the Royal Starr Film Festival! The film screened at the magnificent Emagine Theater in Royal Oak, Michigan on October 14. This film was our most aggressive project to date, and we were very pleased with how it looked and sounded on the big screen! Almost the entire cast and crew were able to attend. 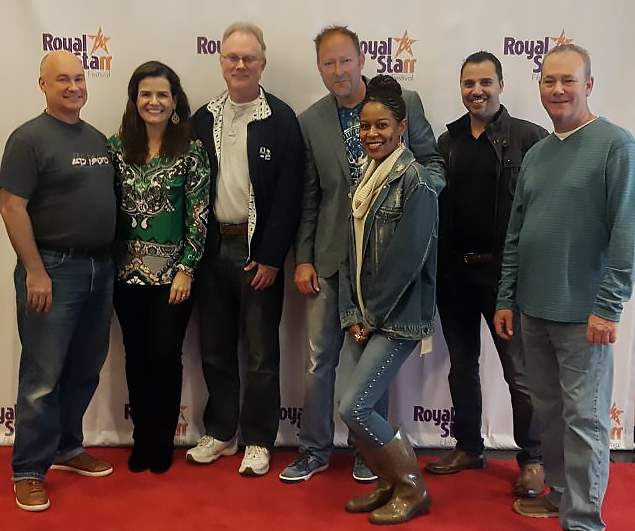 Pictured from left to right: Roger Gillie (Actor), Leticia Faber (Language Translation), Martin Faber (Actor, Original Score), Bradley Silvius (Director, Actor), Tiffany Hendrix (Actor), Franklin Delgado (Vocals), John Moore (Actor). Bradley Silvius chosen as a member of the 2017 Blackbird Film Festival Award Committee! 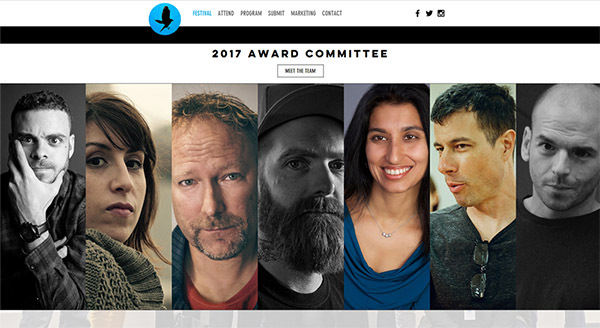 Bradley was honored to be a part of the 2017 Blackbird Film Festival Award Committee along with a number of amazing and accomplished filmmakers including Don Downie, Stacey Capone, Yasmin Mistry, Caley MacLennan, Joe Bellavia, and Jonathan Chekroune. We had an amazing time at the 2016 Blackbird festival...can't wait for 2017! Back to lovely Frankenmuth, Michigan! Pride & Poo is an Official Selection of the 2017 Made-in-Michigan Film Festival in Frankenmuth, Michigan. The festival took place at the Bronner Performing Arts Center from February 3 to 5. This was the final film festival for Pride & Poo! Thanks to everyone who came out to support this great festival and see the final festival screening of this award-winning short-short! Last Festival of 2016: East Lansing Film Festival! Painting Pilfinger and Pride & Poo screened at the East Lansing Film Festival in East Lansing, Michigan on November 4. 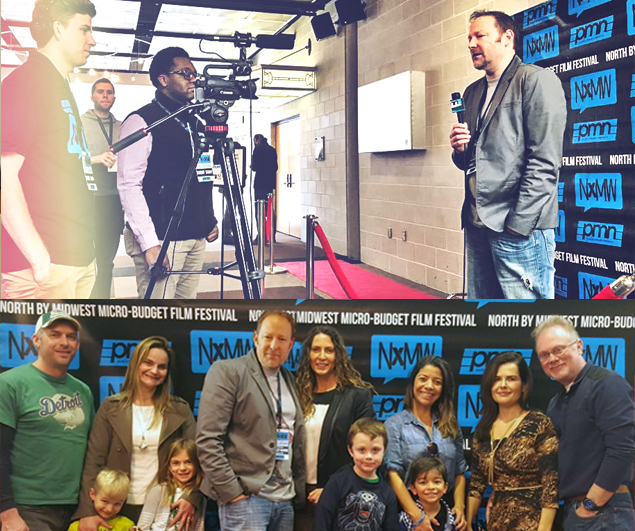 It was a "triple screen showing" with a number of great short films followed by a very engaging Q & A with Writer/Director Bradley Silvius and Producer Raquel de Paula Silvius along with several other filmmakers in attendance. 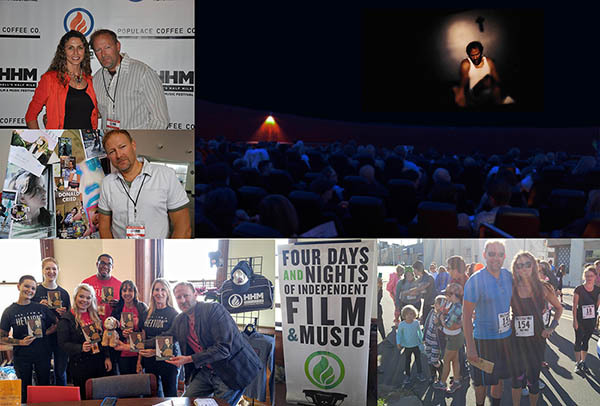 Thank you to everyone that came out and supported Indie Films! More news to come soon on upcoming events! Royal Starr Film Festival, October 14-15. Both Painting Pilfinger and Pride & Poo screened at the Royal Starr Film Festival at the Emagine Theater in Royal Oak, Michigan. Painting Pilfinger screened at 11:00am on Friday the 14th and Pride & Poo screened at 5pm that same day. Painting Pilfinger was part of the Drama short film block, while Pride & Poo was selected as part of the Comedy block. Both films screened on Saturday night to packed-out theaters and enthusiastic audience response. Thank you to everyone that came out and supported not only the first screenings in an actual cinema, but also our "coming home" of sorts at our first Detroit-local festival! Painting Pilfinger screened to a standing-room-only crowd at the Hells Half Mile Film & Music Festival! The film was part of the "Michigan Shorts" program as one of only 8 Michigan-produced short films selected from over 300 submissions! The screening was packed out, as a capacity crowd of 150+ people crammed into the Delta College Planetarium in Bay City, Michigan on September 24, 2016. Bradley was able to participate in a very dynamic filmmaker Question & Answer session after the screening. The 11th Hells Half Mile Festival was incredible, featuring stunning films from all over the globe and several excellent performances by a number of talented bands. To cap off the weekend, Bradley and Raquel were able to run the Hells Half Mile marathon. Yes, it's only a half mile, but we "ran like hell!" Can't wait until next year! 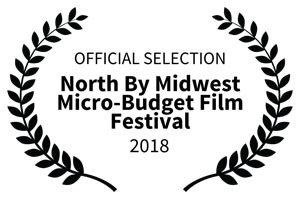 Painting Pilfinger had two fantastic screenings at the North by Midwest Micro-Budget Film Festival! The Festival was on May 21, 2016 at the Epic Center in lovely Kalamazoo, Michigan. While we didn't come away with an award, we had a fantastic time sharing Painting Pilfinger with a strong turnout from southwest Michigan. Pride & Poo won the Special Jury Award at the 2016 Blackbird Film Festival in Cortland, New York! 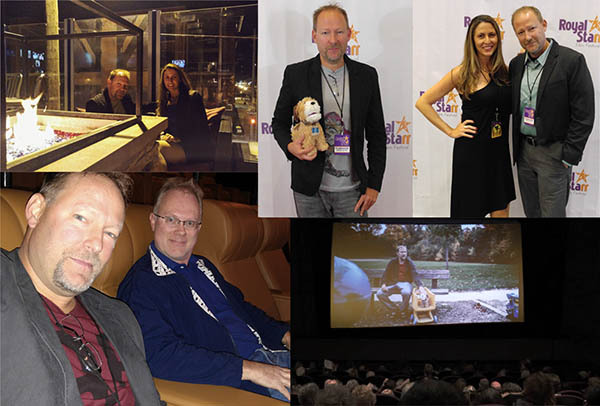 The Festival marked the world premiere screening of Pride & Poo on April 24, 2016. Over 1500 films were submitted to the festival with only 100 being named Official Selections. And of those films, Pride & Poo was one of 13 nominees for Best Narrative Short Film! The festival was fantastic, and we got to meet and network with many fabulous filmmakers. With all the amazing films at the festival, we were humbled and honored receive the Special Jury Award. In other news, Painting Pilfinger has been named an Official Selection of the 2016 North by MidWest Film Festival! The festival is in Kalamazoo, MI on May 21. We hope to see you there! Painting Pilfinger has also been named an Official Selection of the 2016 Ozark Shorts! Schedule is TBD, but we will keep you posted! Painting Pilfinger wins Best Original Score Award! 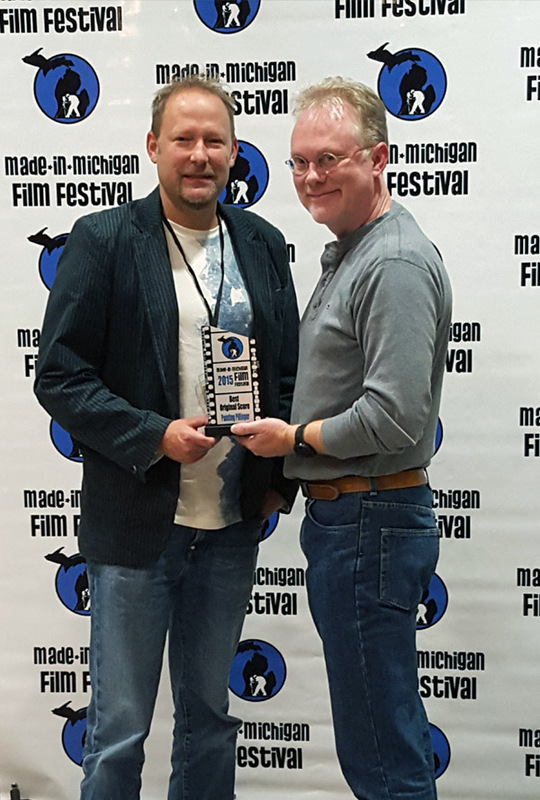 From a field of over 225 films, Painting Pilfinger was chosen as an Official Selection of the Made-in-Michigan Film Festival and won the coveted Best Original Score Award! Painting Pilfinger is the story of a forgotten hero who searches for salvation through a friend who may or may not be real. An unlikely relationship with a stray dog blossoms into a chance to rediscover purpose in a painting of his mysterious companion. But newfound hope may have painful consequences. One of the special qualities of Painting Pilfinger is that it contains no dialogue. "Dialogue is a quick and easy way to provide information to the audience as well as command attention," says writer/director Bradley Silvius. "I wanted to make a film that captivates the audience without any discernible dialogue. If I can do that, then perhaps I've accomplished something worthwhile." Having no dialogue put extra emphasis on having a powerful and moving score to help propel the story. Martin Faber composed the original score for the film, and his hard work was realized with the Best Original Score Award at the Made-in-Michigan Film Festival. Painting Pilfinger is based on a short story of the same name by Bradley Silvius. The short story was a quarter finalist in the 2001 New Century Writer Awards.